We were chatting the other day about how October has an insane amount of high profile games coming out. I honestly have no idea how we’re going to even review them all. But we would most certainly try. And then I remembered. We had forgotten about Pokémon. The handheld behemoth of an adventure series that can take easily 20 hours to finish properly for a review. I’m already crying. But at least I’ll have a ‘secret base’ when the game arrives. Super-Secret Bases are an awesome new way to express your creativity and join up with friends in the upcoming Pokémon Omega Ruby and Alpha Sapphire games. 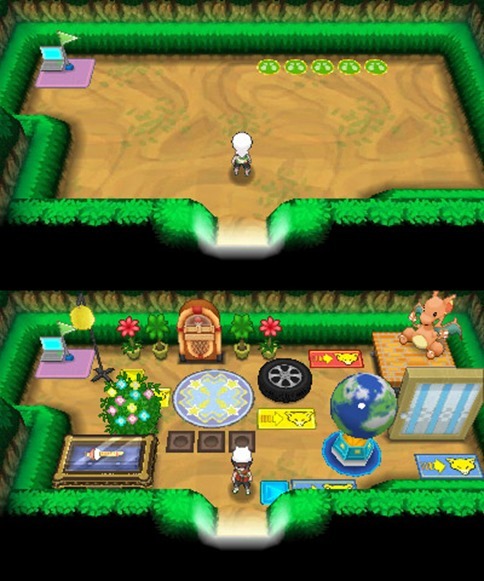 Create a Secret Base that’s all your own, including selecting and placing Decorations however you like. You can use Decorations to create tricks in your Secret Base, decide the rules for what kind of Pokémon battles are allowed there, and make it like your very own Pokémon Gym! Then get ready for other players to come and challenge you! Using communication features, it’s easy to connect with other players around the world to share your Secret Bases with one another. 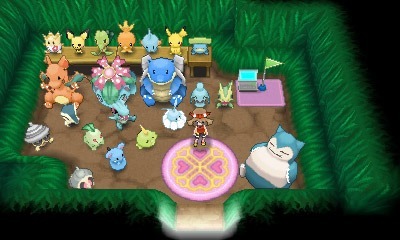 When you visit another player’s Secret Base, that base’s members will be hanging out there. You can talk to them or even battle them! If you find base owners that you like, you can scout them as one of your Secret Pals and bring them back to your own Secret Base. Once you’ve become Secret Pals with someone, you can continue to have Pokémon battles against them, and also have your Pal use “special skills” to support you on your adventure. You can share your Super-Secret Base with Trainers all over the world! 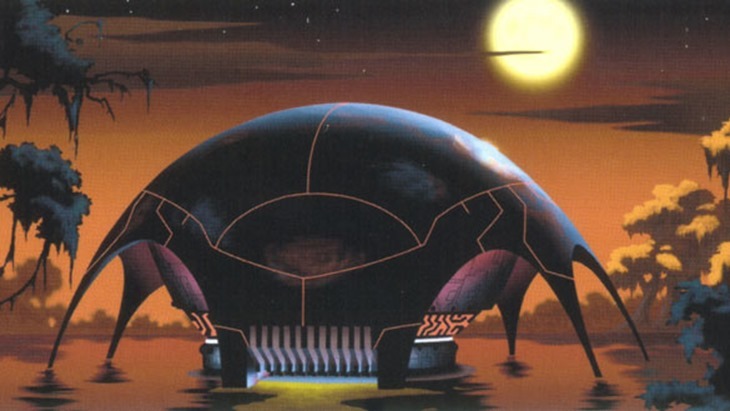 Symbolize your Secret Base with a QR Code. 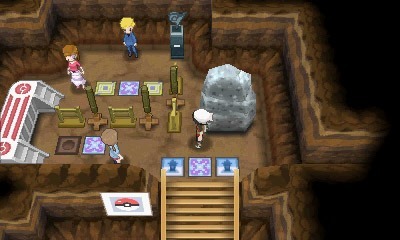 With a QR Code, you can get the Secret Base of a particular player you’ve been wanting to visit. To help you get started with Super-Secret Bases, you’ll meet Secret Base Expert Aarune. Aarune and his Flygon are world travelers, bursting with excitement about the Secret Base culture in the Hoenn region. This enthusiastic adventurer will teach you all about the fun of Secret Bases during your journey. Look forward to building your own Super-Secret Base—and visiting your friends’ Super-Secret Bases—in Pokémon Omega Ruby and Pokémon Alpha Sapphire, launching this November! 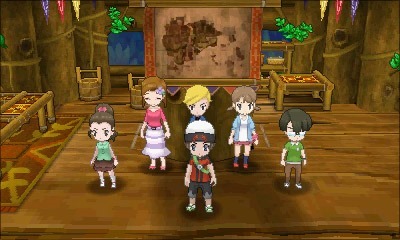 A very overlooked feature of last year’s Pokémon X and Y is the superb online side of the game. GameFreak did something special with that component, boiling trading, battling and tons of other variants into an easy user interface that could be quickly accessed. I’m keen to see if this year will sport any improvements in that department. I’m also bloody keen to find one of my favourite Ruby/Sapphire exclusive Pokermanz “anything that isn’t a bloody Bidoof”. Previous article Does Hearthstone’s expansion cost too much?